The Faber-Castell Watercolor Art for Beginners Kit features a perfect blend of high-quality art materials for learning fun watercolor techniques. 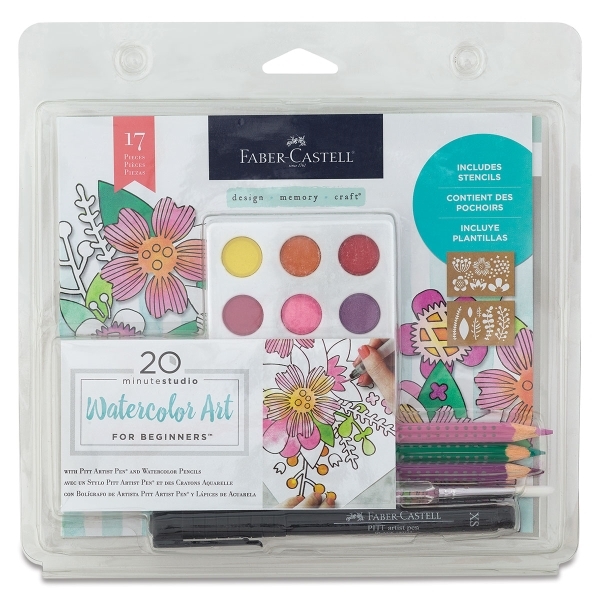 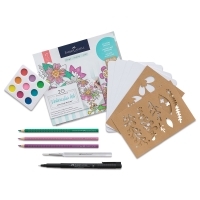 This Watercolor Art for Beginners Kit is part of the Faber-Castell Design Memory Craft line. ® Faber-Castell is a registered trademark.® Pitt and ® Design Memory Craft are registered trademarks.